Need a Last-Minute Gift for the Pool Owner in Your Life? The holidays are upon us and with the holidays come the joy of giving. Like many of us, you’re probably still looking for your last few gifts. Let us help you with some great ideas for the pool owners in your life. Ready to get started? Let’s do it! Help your favorite pool owner out with a practical gift! Sometimes the best gifts are the ones that simply make sense. Things like a Visa gift card to help them invest in their next amazing pool feature, or a refill on their pool chemicals all make for fantastic gifts. Another great last-minute gift idea is for you to take a look at their outdoor pool area. Is their pool cleaning net looking worn out? Do their filters look like they could use a little TLC? Offer to replace them as a gift idea. You can also help them to furnish their pool house if they have one. Though these gifts may not seem like a big deal, anything that they can use will be deeply appreciated. After all, a practical gift is something that takes some of the strain of daily life away. Toss them a big dose of fun for this holiday season! Though swimming season is a long way off, pool owners are always thinking of more ways to enjoy their pools. 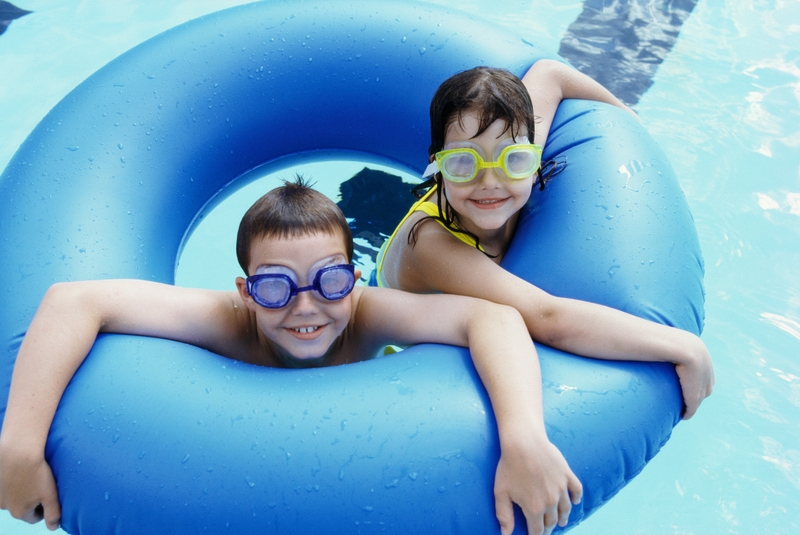 You can help them have more fun in the water with some pool toys. Things like pool noodles, goggles, and giant floats are all great ways to splash and play in the water once the weather gets warm. There are also great games you can give them for the kids that include things that float down to the bottom of the pool and must be retrieved. A basketball hoop that attaches to the side of the pool is also lots of fun for the whole family. Choose Paradise Pools for Your New Pool! This entry was posted on Thursday, December 22nd, 2016 at 2:44 pm. Both comments and pings are currently closed.